Authorities don't yet have leads but the region's deputy governor has made it clear that "We won't let them get away with it." Russian authorities are now investigating an illegal massacre that left six polar bears dead, their heads and skins removed in a manner consistent with trophy hunting, on the remote Vilkitsky Island in Siberia’s Kara Sea. 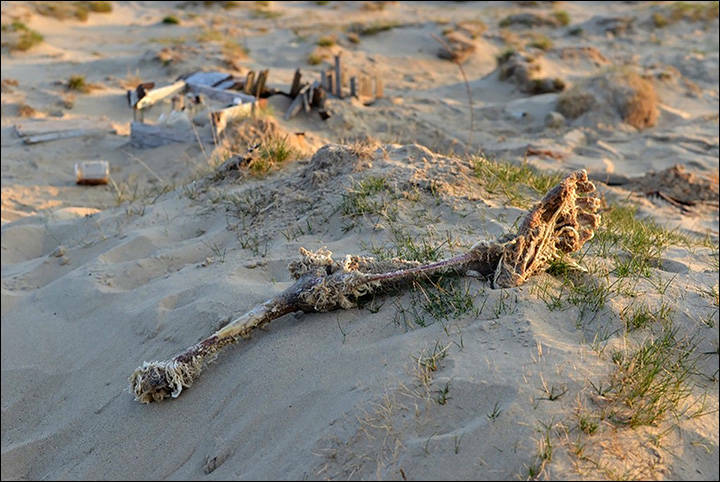 It remains unclear when exactly the killings occurred, but the carcasses were discovered only recently, thanks to summer thawing, by an ecological team sent to clean up Soviet-era waste on the uninhabited island, reports The Siberian Times. 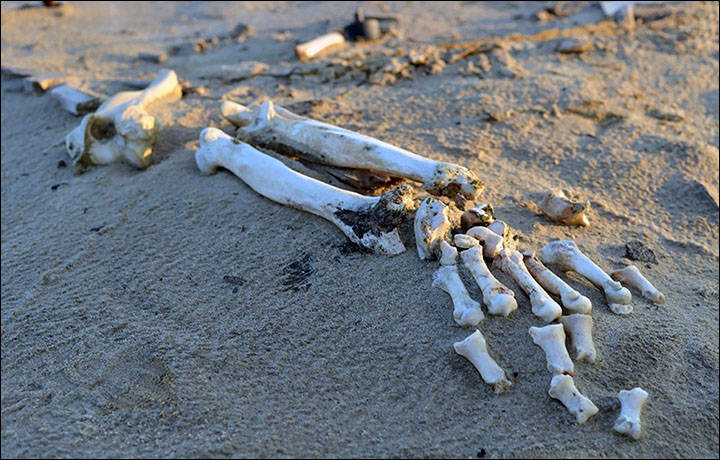 Once the team discovered the remains and took photographs, they quickly reached out to authorities. 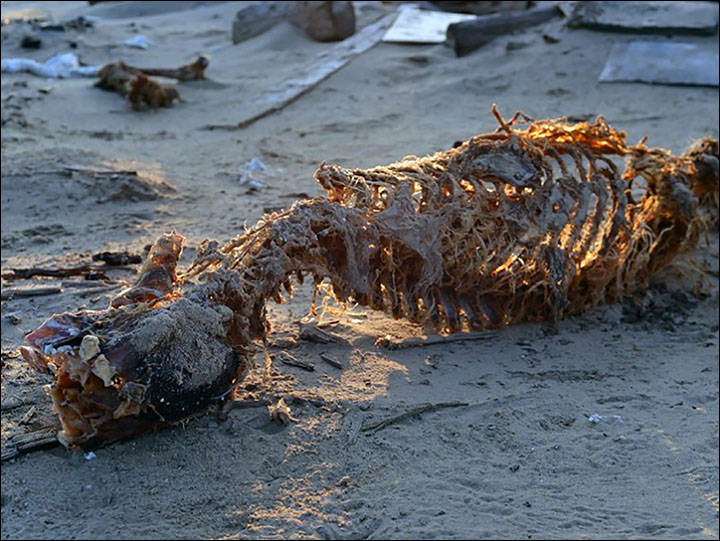 “When they spotted the carcasses they immediately got in touch with me via satellite connection because this is a very serious case,” said Andrey Baryshnikov, head of the Russian Centre of Arctic Exploration, reports The Siberian Times. After the centre contacted police, the latter delayed in investigating, leading to speculation that they were attempting to cover up the incident. However, the prosecutor’s office has since opened an investigation. As of now, that investigation has turned up little information. “For now we cannot say exactly how old the bears were, or whether they were male, female or cubs; nor is it clear how long the carcasses were there,” Baryshnikov said. This spring, several other poachers were brought to justice after killing a polar bear on Vilkitsky, a common poaching ground due to its abundance of bears. However, The Siberian Times refers to unspecified reports indicating that, due to poaching, there are now actually no bears left on the island. Worldwide, between 22,000 and 31,000 polar bears remain alive, according to the World Wide Fund For Nature, which lists the species as vulnerable. Nevertheless, several countries allow polar bear hunting, while others do not. Russia, for one, has legalized the practice in recent years in certain cases, like limited subsistence hunting for local villagers, which does not apply to the recent, especially heinous killings on Vilkitsky. Next, read up on the poacher that recently killed 100 elephants with cyanide. 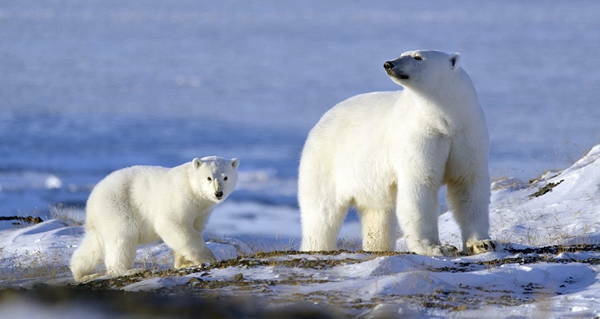 Then, discover 21 of the most fascinating polar bear facts.